If you are looking to simplify your business accounting, SAP Concur offers integrated solutions that can seamlessly pull your Concur expense and accounts payable data directly into QuickBooks. Streamlining the expense and invoice process is easier than you think. Concur Connector for QuickBooks Expense helps streamline the expense process by easily importing expense categories, employee data, customers, classes and jobs – saving hours of manual data entry time – so you can focus your efforts on what matters most in your business. Concur Connector for QuickBooks Invoice Processing offers fast and accurate accounting, so you can get big-picture financial data for better cash flow management, all with the simplicity of one-click integration. Many businesses are turning to this paperless, automated solution to gain visibility into company AP. With the Concur and QuickBooks integration – which was fantastically smooth – we have better visibility into what’s important. We know what we’re spending, when and where. Concur Connector for QuickBooks can be easily integrated with business applications for a faster, simpler system integration. 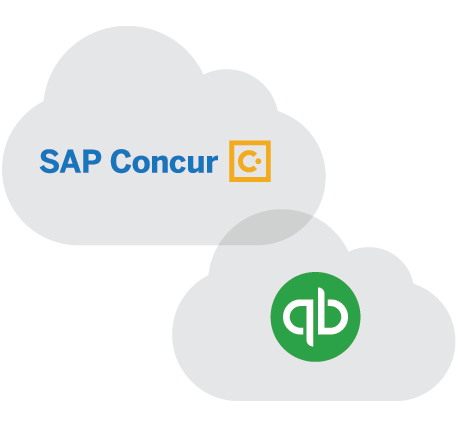 You can connect your QuickBooks version with SAP Concur cloud technology to utilize available apps and mobile solutions for 24/7 access to get better expense visibility. This data synchronization means your Accounts Payable (AP) information and expense details are easily connected. You not only get a more simplified process to help with employee productivity and business efficiency, Concur Connector for QuickBooks Expense also gives you detailed expense information to help run your business better. Concur Connector for QuickBooks – Invoice Processing can save you time by syncing data between Concur and QuickBooks with the click of a button. This AP solution helps eliminate importing files or manual data entry by providing a more seamless, effortless experience. Users can select which account to tie to Active Expense types, so there is a seamless and straightforward transition if you’ve used Concur QuickBooks Expense in the past. Concur Connector for QuickBooks offers detailed AP information with less hassle. As with the expense QuickBooks counterpart, efficiency is the name of the game. 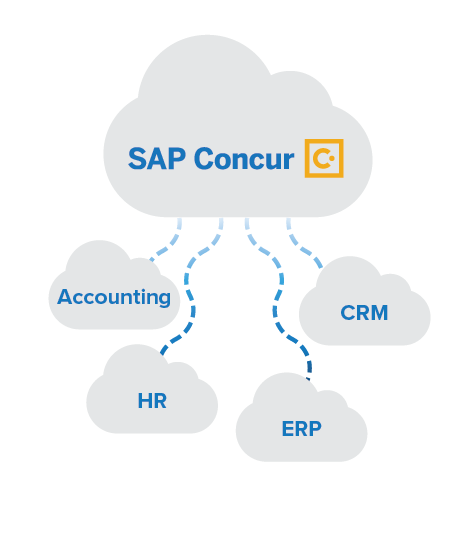 Contact an SAP Concur sales representative to learn more about the Concur Connector for QuickBooks solution and to determine whether AP and expense integration is the right choice for your business.